This week we are going to be working on conjunctions. But, what is a conjunction? 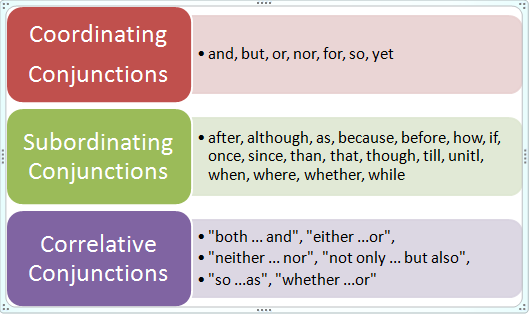 What does a conjunction do in a phrase, a clause, or a sentence? Conjunctions are words that are used to join or link other words, phrases, or clauses. 1. I had a sandwich and a coke. 2. Please, let me know when you are ready. 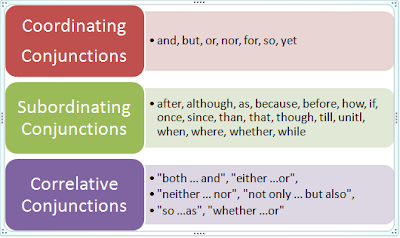 Coordinating, Subordinating, and Correlative Conjunctions. More theory and practice coming. Stay tuned!